I just saw a pic and read what was there...Funny!! It was Funny. 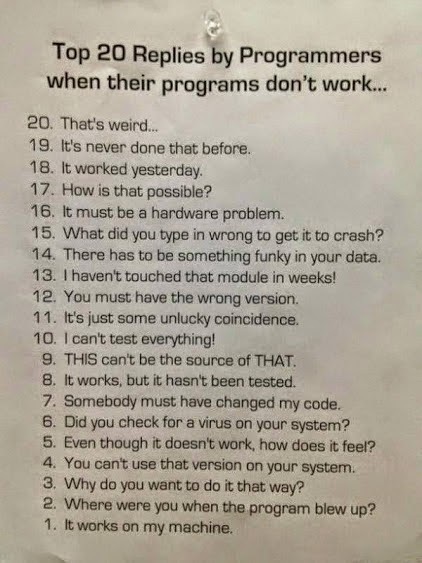 Whoever who did that left out almost nothing of what I say when my code malfunctions!! I just wonder what you say when yours fails to work.